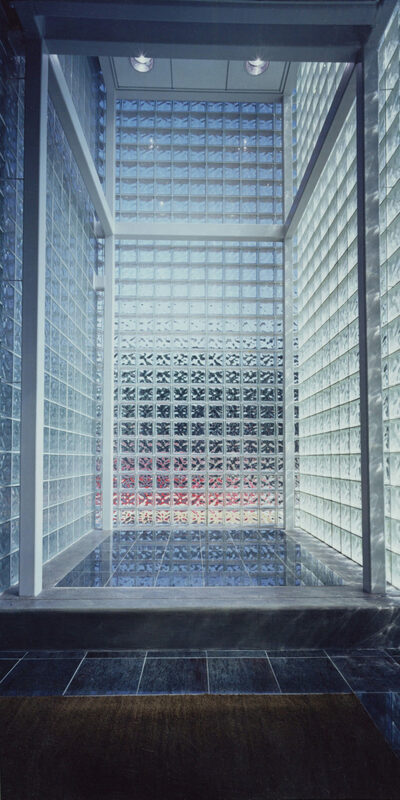 Pittsburgh Corning Corporation's Headquarters were originally constructed in 1963 to house laboratory and pilot plant facilities for PPG. Over the years the building had been slowly and somewhat haphazardly converted to offices for Pittsburgh Corning. 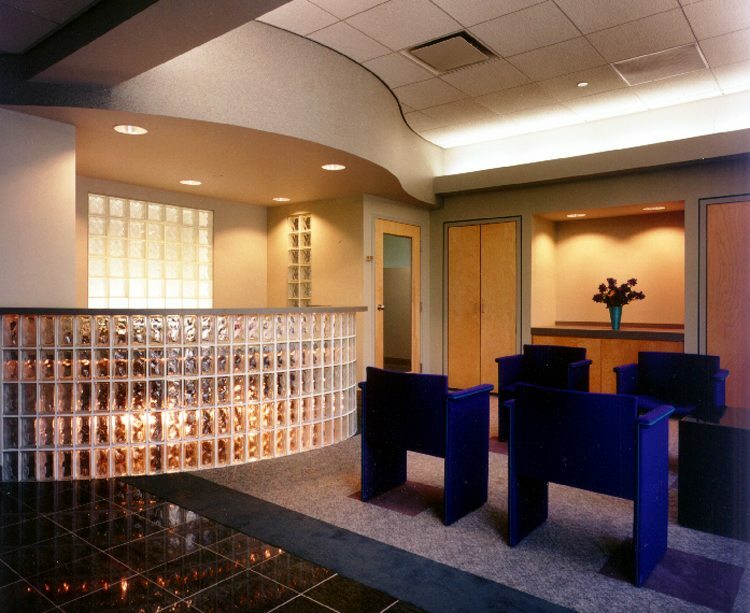 We were commissioned initially to perform an extensive needs analysis and feasibility study to assist Pittsburgh Corning in determining a long-term approach to addressing their facility requirements. As a result of this study it was determined that rather than relocating or building a new facility, the existing 40,000 sq. ft. building would be essentially gutted and renovated with 10,000 sq. ft. We had the privilege to work closely with former CEO Charles Francik during the planning & design phase of the project. Chuck was a true gentleman who was brilliant and had a great sense of humor. 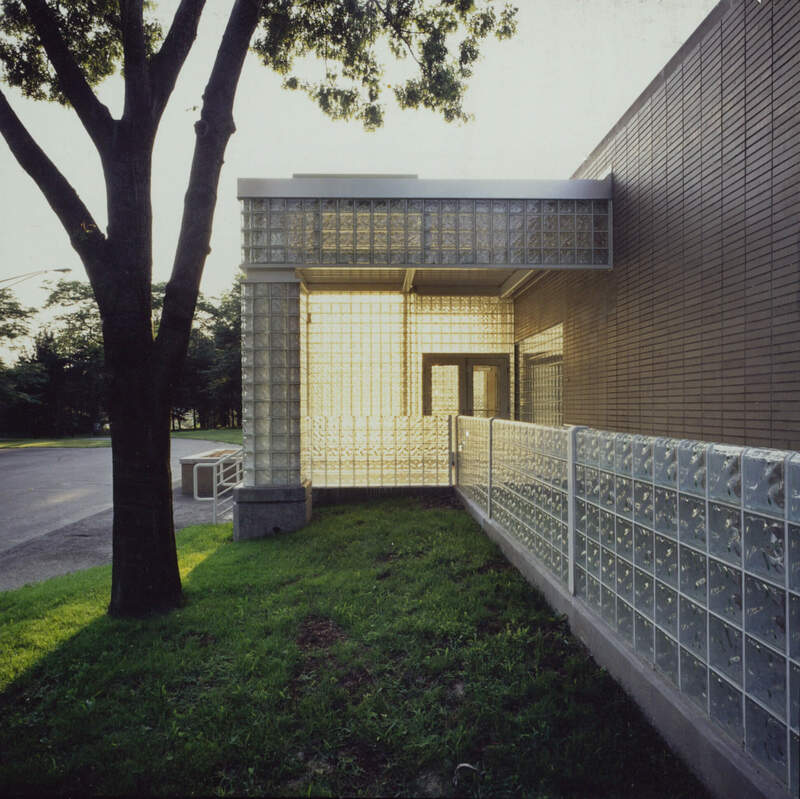 The existing front façade of the building was gutted and replaced entirely with glass block. A tower was incorporated to identify entry and to provide a terminus to the existing 400 ft. circulation spine. 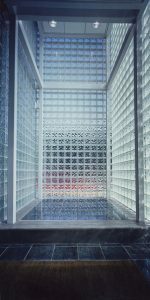 In developing the glass block façade at the public entry side of the building, the intent was to maintain a simple and timeless image. At the addition, treatment of the exterior façade focused on the potential to develop pattern in the use of glass block. 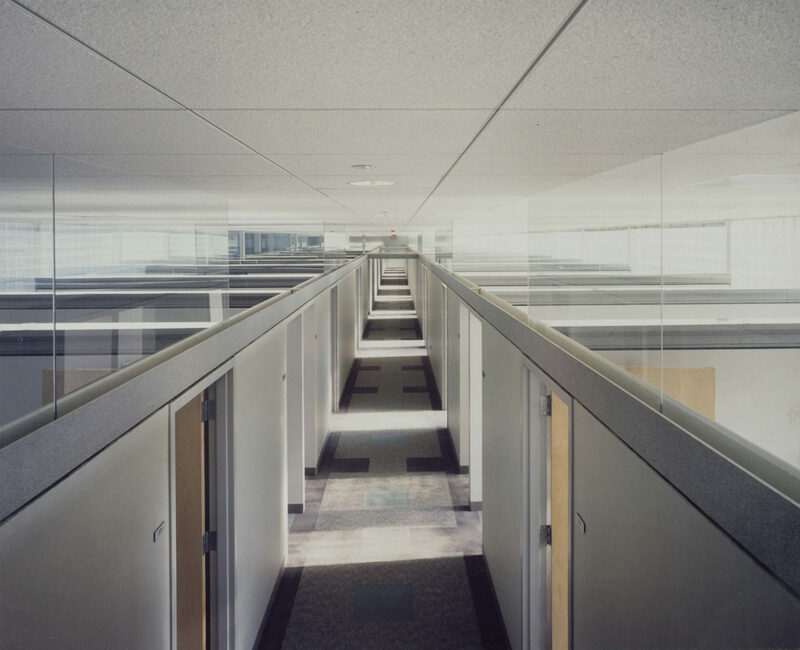 Six shapes and patterns were employed to create a continuous repetitive pattern which was repeated at the scored ceiling tiles and carpet tiles at the long corridors of the interior.